My favourite wild flower. I thought it was called chicory. Maybe there are two names. Today I’m learning something new from you! I’ve always just called it cornflower. Years ago, I was told a folk story involving these flowers. It was about two young lovers separated by war.The woman in the story has beautiful corn flower blue eyes Every morning that the soldier is away the young woman goes up to the road and waits for his return. I’m going to have to look up this story now. Those are so pretty. I think I’m going to have to get me some cornflowers! 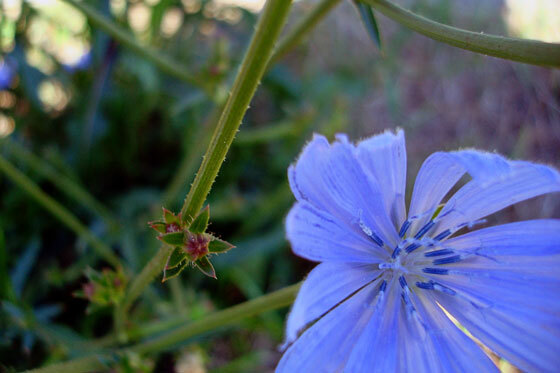 I think they might actually be chicory. 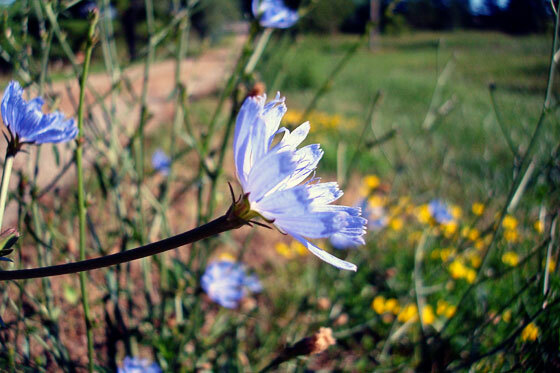 See this lovely post: http://westlakemusings.com/2013/07/10/chicory/.